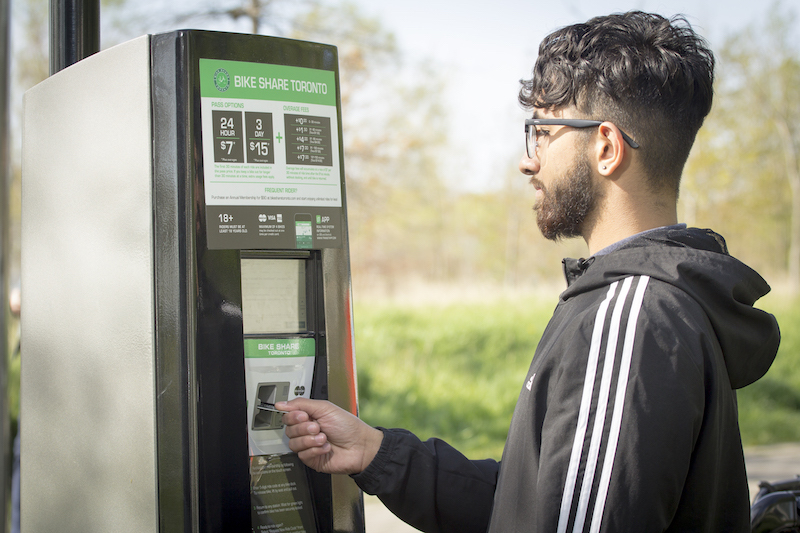 Short term passes can be purchased in-person at a Bike Share Toronto kiosk or on your smartphone using CycleFinder or the Transit App. OVERAGE FEES: $4 for every extra 30 minutes. For every trip exceeding 30 minutes, overage fees will accumulate at a rate of $4 per 30 minutes of trip time. To avoid an overage charge, before your 30 minute trip is up, dock the bike and unlock another to continue riding.